Gastroesophageal reflux disease (GERD) is a gastrointestinal disorder which impacts the muscles between the esophagus and stomach. This group of muscles is called the lower esophageal sphincter (LES) and is largely responsible for preventing food and acid from traveling out of the stomach and back into the esophagus. The result is acid reflux which can cause discomfort and pain in the chest, as well as potentially leading to a complication known as Barrett’s esophagus that may lead to the development of cancerous cells. Certain types of food may exacerbate the condition and pregnant women are especially prone to suffering from GERD. 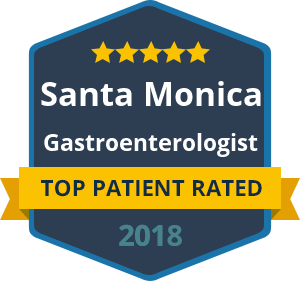 The good news is, Dr. David Yamini and his team can provide diagnosis and specialist treatment for GERD and acid reflux at his offices in California. Patients can choose to visit either our Beverly Hills or Santa Monica offices for their convenience. The signs and symptoms of GERD typically present after eating or drinking certain foods. However, sufferers may experience symptoms with no warning. The feeling of food traveling back into the esophagus, a sour taste in the mouth and throat or a burning sensation in the chest or throat are some of the most common symptoms of GERD. Dr. Yamini will provide a comprehensive examination of the esophagus and stomach to determine if GERD is the cause of your symptoms. You can freely discuss your treatment options and any concerns with Dr. Yamini or a member of his team during your consultation. To arrange a consultation with Dr. Yamini’s team at one of our comfortable and relaxing California offices, contact us online or call and speak to a friendly team member at your earliest convenience. Address your symptoms early to avoid ill health from additional complications which can arise from GERD.